Paul Sagan has joined General Catalyst Partners. After stepping down last year as chief executive of Internet giant Akamai Technologies Inc., Paul Sagan has moved on to become a venture capitalist, joining General Catalyst Partners in Cambridge. Sagan, 54, will be a partner at the firm and also a member of its XIR program, in which experienced executives take a more active role in companies backed by General Catalyst. Sagan became president of Akamai in 1999 and later CEO in 2005. During that period, the company’s cofounder Daniel Lewin died in the 9/11 attacks and Akamai struggled through the dot.com collapse. Under Sagan’s watch, Akamai expanded its global footprint through a string of acquisitions to compete in the increasingly competitive business of Web content delivery. Sagan’s involvement in the Boston tech economy extends beyond Akamai. 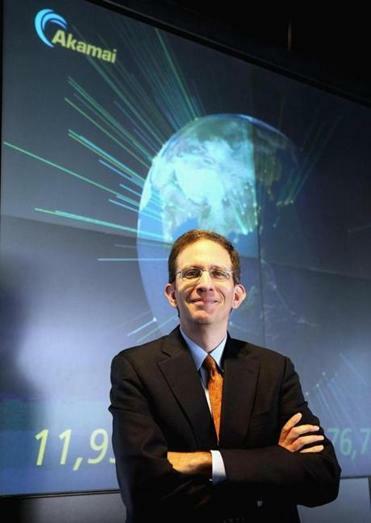 He sits on the boards of EMC Corp. and iRobot Inc., two of the area’s biggest public tech companies. He previously held high-level positions at Time Warner. General Catalyst itself has also been growing. Earlier this year, Donald Fisher, formerly of Greylock Partners, joined as a partner. In December, General Catalyst closed a $675 million fund. Its portfolio includes such hot startups as Snapchat, Airbnb, and Warby Parker. Michael B. Farrell can be reached at michael.farrell@globe.com.